Is it Good? 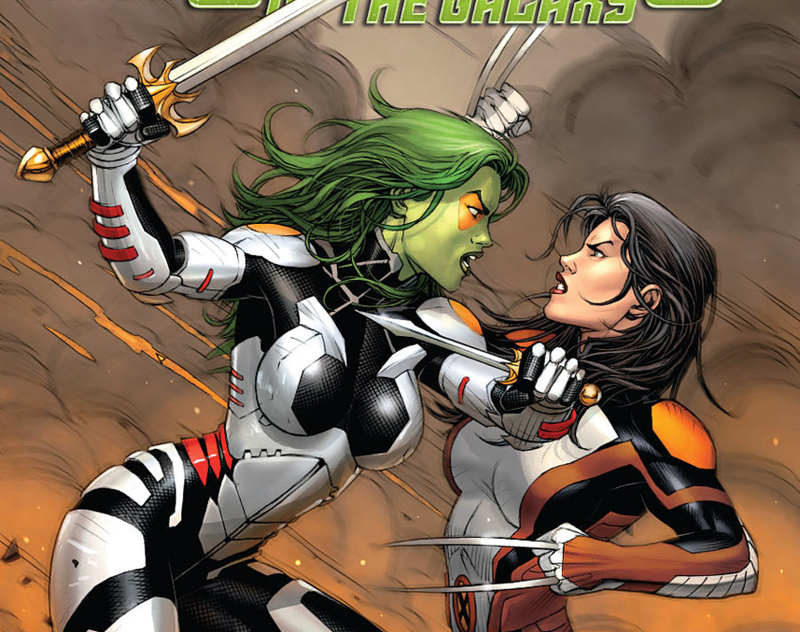 Guardians of the Galaxy #13 Review – AiPT! One of the most mediocre crossovers ever comes to a close this week with an ending that promises to “leave both teams devastated.” Well, let the devastation begin. The Trial of Jean Grey Part 6; is it good? At the end of the day, a story is only as good as how much its characters progress, and in this crossover event, not many characters developed all that much. I mean sure, Jean is coping with her deeds to be and the powers she keeps on learning to control, and Scott found his dad, but both of these things will only come through in future endeavors. What I mean: Scott’s reunion with his dad wasn’t that great a moment in and of itself, because it was just sort of glossed over and not written in a way that really made us feel for Scott as a character. However, the the meeting spawns a whole new solo series for Cyclops exploring his relationship with his dad. So, instead of giving me any real content in the crossover, this “reveal” was just sort of prep for part 2. Is the introduction to a new book worth my time? Nope. We must also look at whether the Guardians of the Galaxy were really needed to tell this story and whether the finale is at all changed because they helped out the All-New X-Men. They weren’t necessary to the story; in fact, they didn’t even make it more enjoyable. It seems that none of the team members really interacted in any meaningful way other than a “wow, look at that difference between us” and Peter and Kitty’s newfound relationship. The Trial of Jean Grey wasn’t the Guardian’s story and it seems as though they just had to be included because it was a cosmic story. Even if this wasn’t just a marketing ploy to get us to buy both titles, so much personality and charm is lost in the wash of so many characters. Not only did the Guardians not add squat, they actually detracted from the team we really came to see. Also, I found the ending itself quite lackluster and pretty weak in terms of storytelling. It’s that kind of “I’ve discovered my true self along the journey, and now we must part ways” scene at the very end, that we’ve seen again and again. It happened at the end of Schism, at the end of Battle of the Atom; it appears the only way to have any big “bombshell surprises” is to wait ’til the last three pages then have the characters really think about things outside the heat of the moment. While that might be a good tip for real people in real life, it doesn’t make for good suspense or shock. I just found it so unsatisfactory and insipid that I can’t even get excited about the surprises themselves. No matter what the story has been like, the art has been generally pretty great in this crossover. Sara Pichelli does an adequate job penciling the battle sequence, but during the fallout the artistic duties are handed over to David Marquez. I have no problem with Marquez’s work, I just found it completely unfitting to this book. It was a little too cutesy and neat. Portraying characters that looked shiny and new even though they had all just gotten their asses kicked in outer space. It’s just too polished for a scene about the aftermath of a battle. No, and this crossover as a whole isn’t good either. This was sort of a non-ending with a standard routine of people switching sides and everything just returning to the way it was. No real shockers here, nothing that will make you question everything you thought you knew about the X-Men, just some minor shifts that don’t justify all of the story we’ve had to endure. Also, the comic was only 15 pages. 15 pages!